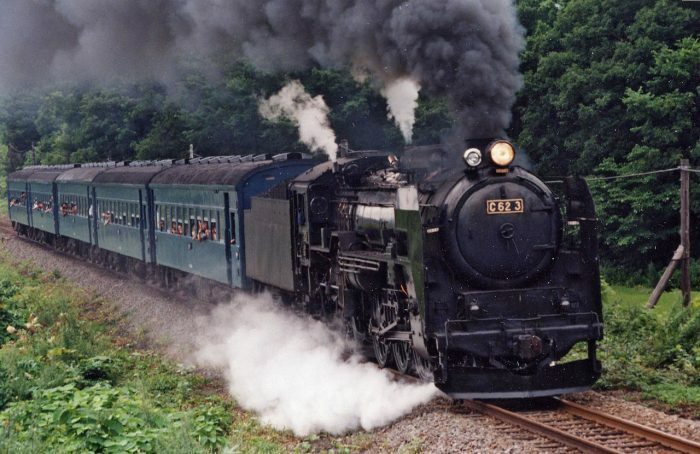 I have been researching the history of railways in Japan. My interest has been drawn by the use of Cape Gauge as the early standard gauge in Japan. Railways with a track gauge of 3′ 6″ (1,067 mm) were first constructed as horse-drawn wagonways. 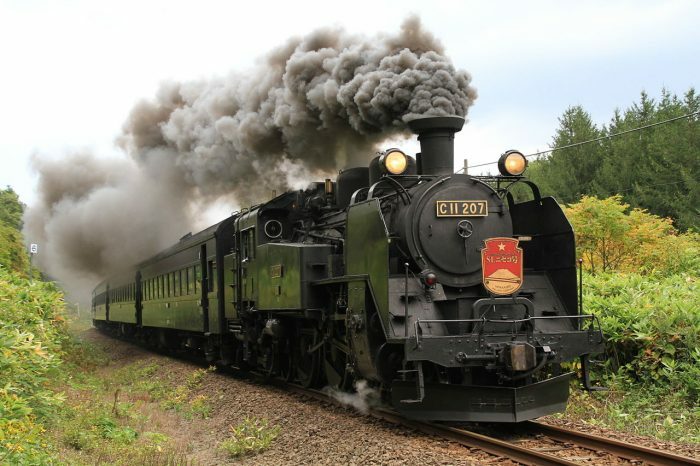 From the mid-nineteenth century, the 3’6″ gauge became widespread in the British Empire (although it was not used in East Africa or India) and was adopted as a standard in Japan and Taiwan. The article on this subject on Wikipedia  says that one of the first railways to use 3′ 6″ (1,067 mm) gauge was the Little Eaton Gangway in England, constructed as a horse-drawn wagonway in 1795. Other 3′ 6″ gauge wagonways in England and Wales were also built in the early nineteenth century. In 1865 Queensland Railways were constructed. Its 3′ 6″ gauge was promoted by the Irish engineer Abraham Fitzgibbon and consulting engineer Charles Fox. In 1867, the construction of the railway from the Castillo de Buitrón mine to the pier of San Juan del Puerto, Huelva, Spain, began. The width was 3′ 6″ (1,067 mm). In 1868 Charles Fox asks civil engineer Edmund Wragge to survey a 3′ 6″ railway in Costa Rica. 1872 also saw the opening of the first 3′ 6″ gauge railway in Japan, proposed by the British civil engineer Edmund Morel based on his experience of building railways in New Zealand. .
On 1 January 1873, the first 3′ 6″ gauge railway was opened in New Zealand, constructed by the British firm John Brogden and Sons. Earlier built 4 ft 8 1⁄2 in (1,435 mm) and broad gauge railways were soon converted to the narrower gauge. Other new railways in Southern Africa, notably Mozambique, Bechuanaland, the Rhodesias, Nyasaland and Angola, were also constructed in 3′ 6″ gauge during that time.After 1876In the late nineteenth and early twentieth century numerous 3′ 6″ gauge tram systems were built in the United Kingdom and the Netherlands. 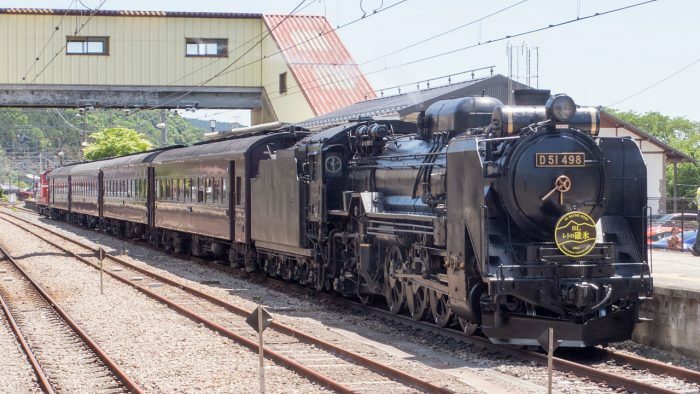 The precise reason why a track gauge of 3′ 6″ in (1,067 mm) (also known as “Cape gauge”) came to be selected as the early standard gauge in Japan remains uncertain. It could be because 3’6″ was supposedly cheaper to build than the international standard “Stephenson gauge” of 4 ft 8 1⁄2 in (1,435 mm), or because the first British agent, whose contract was later cancelled, ordered iron sleepers made for the narrower gauge. It seems most likely, however, that Morel’s previous experience building Cape gauge railways in similar New Zealand terrain was a significant influence, and Cape gauge became the de facto standard. 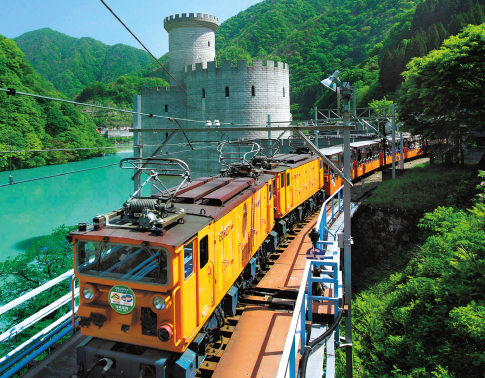 610mm – Tateyama Sabo railway (shown adjacent) in Toyama prefecture. 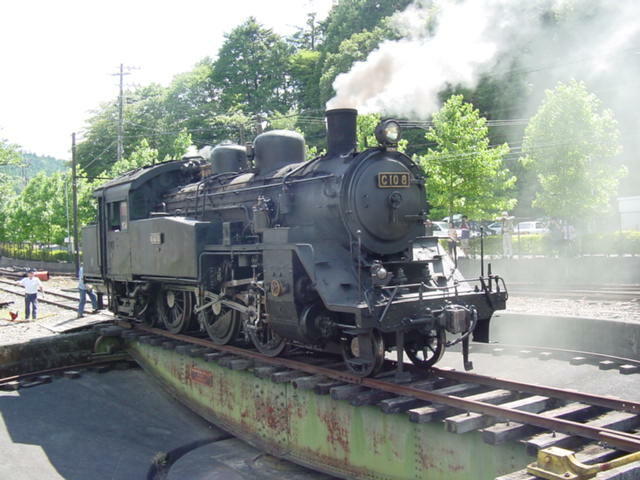 I think this would be the last non-museum/preserved line using 610mm gauge, which was once common for local and industrial railway operations, known as “keiben“,  throughout Japan. 1067mm – JR Hokkaido, JR East, JR Tokai, JR West, JR Shikoku, JR Kyushu, all JR Freight operations on these lines, and many private railways and tramway, big and small. 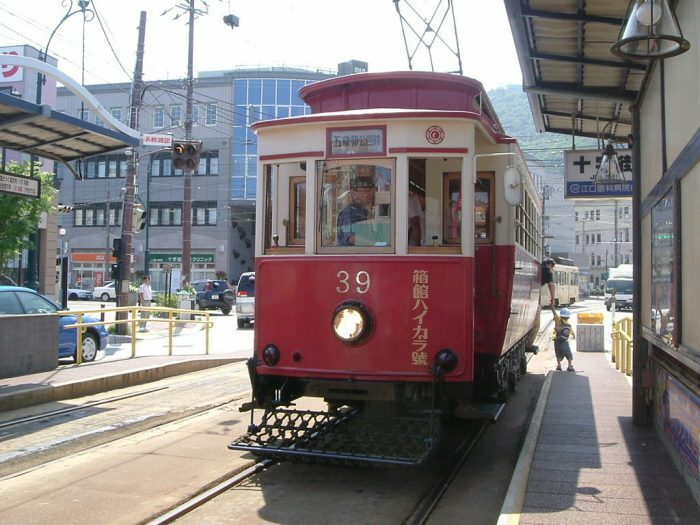 The reasons for choosing 3’6″ gauge for the original Tokyo-Yokohama line in 1872 are not apparent these days, but that choice greatly influenced subsequent government and private railway construction. 1435mm – Shin Keisei railway, Hokuso Railway, Keihin Express Railway, Keisei Electric Railway, Eidan Ginza and Marunouchi lines, Toei Asakusa line, Yokohama metro, Hakone Tozan Railway, Nagoya metro, Kinki Nippon Railway/Kintetsu main lines, Keifuku Electric Railway, Eizan Electric Railway, Keihan Electric Railway, Kyoto metro, Osaka metro, Hankai Electric Tramway, Hankyu Electric Railway, Nose Electric Railway, Hanshin Electric Railway, Kobe metro, San-Yo Electric Railway, Hiroshima Electric Railway, Takamatsu-Kotohira Electric Railway, Chikuho Electric Railway, Nishi Nippon Railway main lines, Nagasaki Electric Tramway, Kumamoto city tramway, Kagoshima city tramway, and of course the JR Shinkansen network. So there’s more standard gauge trackage in Japan than you might think at first. Edmund Morel (1840-1871) was a British civil engineer who was engaged in railway construction in many countries, including New Zealand, Australia, and Japan. He was the first foreign Engineer-in-Chief appointed by the Japanese government, for guiding and supervising railway construction. A graduate of King’s College in London where he studied civil engineering, he was highly sought after to work with countries seeking to construct railroad systems, such as in New Zealand, Australia and North Borneo, which is now part of Malaysia. https://en.m.wikipedia.org/wiki/3_ft_6_in_gauge_railways, accessed on 2nd January 2019.
http://www.sumidacrossing.org/Prototype/StandardNarrowGauge, accessed on 4th January 2019. Mark Newton; http://www.jnsforum.com/community/topic/15147-understanding-japans-track-and-loading-gauges, accessed on 4th January 2019.
https://archive.org/stream/railwaysornorai01fairgoog#page/n8/mode/2up, accessed on 2nd January 2019. Peter Semmens; High Speed in Japan: Shinkansen – The World’s Busiest High-speed Railway. Sheffield, UK: Platform 5 Publishing, 1997. p1. P.J.G. Ransom; Narrow Gauge Steam; Oxford Publishing Co., 1996, p107. I. L. Griffiths; Susan Rowland; (1994). The Atlas of African Affairs. Routledge, 1994, p168. John Bond; “Chapter 19, The Makers of Railways: John Molteno”. They were South Africans. Oxford University Press, 1956, p170. “Cultural, historical assessment of the Hex Pass Railway, Worcester to de Doorns”(PDF), accessed on 2nd January 2019. Jose Burman; Early Railways at the Cape, Cape Town: Human & Rousseau, 1984. D.E. Davenport; A Railway Sketch of South Africa. 1882. Cape Town. T.V. Bulpin; Natal and the Zulu Country (3rd ed.). Cape Town: T.V. Bulpin Publications Ltd., 1977. p224–227. https://wonderfulrife.blogspot.com/2013/10/gaijin-father-of-japans-railways.html?m=1, accessed on 5th January 2019.
https://www.gracesguide.co.uk/Edmund_Morel, accessed on 7th January 2019.
https://en.wikipedia.org/wiki/Edmund_Morel_(railway_engineer), accessed on 7th January 2019. 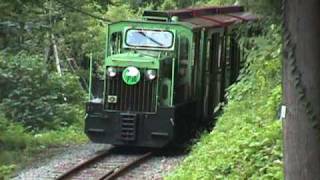 Akira Saito; Why Did Japan Choose the 3’6″ Narrow Gauge? Japan Railway & Transport Review No. 31 (p33–38); http://www.ejrcf.or.jp/jrtr/jrtr31/f33_sai.html, accessed on 7th January 2019. Nobutaka Ike; The Pattern of Railway Development in Japan; in The Far Eastern Quarterly, Vol. 14, No. 2, February 1955; p222-223, sourced via https://www.jstor.org/stable/2941732?read-now=1&seq=6#page_scan_tab_contents, accessed on 8th January 2019.
https://www.trains-worldexpresses.com/500/519.htm, accessed om 8th January 2019.
https://en.wikipedia.org/wiki/JNR_Class_C62#/media/File:C623_Express_Niseko.JPG, accessed on 8th January 2019.
https://en.wikipedia.org/wiki/JNR_Class_EF62, accessed on 8th January 2019.
https://en.wikipedia.org/wiki/JNR_Class_C10, accessed on 8th January 2019. NB: I have been informed that the note provided with this photograph is slightly misleading. 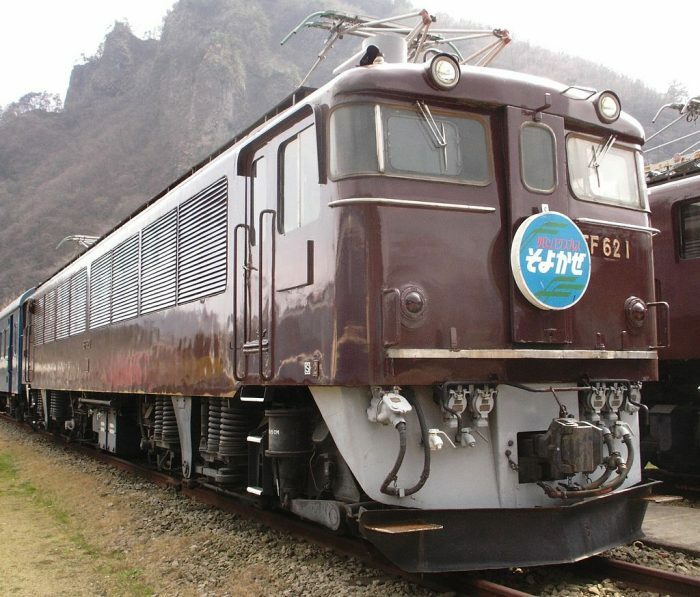 The loco was built by Kawasaki. Kisha Seizo was a separate manufacturer. https://en.wikipedia.org/wiki/JNR_Class_C11, accessed on 8th January 2019. NB: Again the note provided with this photograph is slightly misleading. 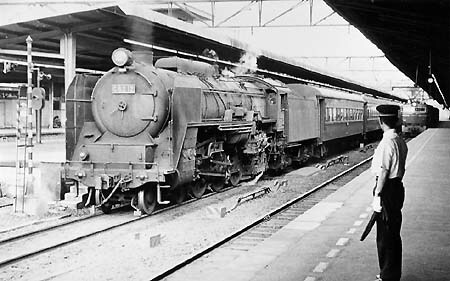 The loco C11 207 was built by Hitachi in 1941.
https://en.wikipedia.org/wiki/Toei_Shinjuku_Line, accessed on 8th January 2019.
https://en.wikipedia.org/wiki/T%C5%8Dky%C5%AB_Setagaya_Line, accessed on 9th January 2019.
https://en.wikipedia.org/wiki/Toden_Arakawa_Line, accessed on 9th January 2019.
https://en.wikipedia.org/wiki/Keio_Corporation, accessed on 9th January 2019.
https://en.wikipedia.org/wiki/Hakodate_Transportation_Bureau, accessed on 9th January 2019.
https://en.wikipedia.org/wiki/Hakodate_Transportation_Bureau#/media/File:Hakodateshiden30kei.JPG, accessed on 9th January 2019. Takahiko Saito; Japanese Private Railway Companies and Their Business Diversification; Japan Railway and Transport Review, January 1997, Volume No. 10, p2-9; http://www.ejrcf.or.jp/jrtr/jrtr10/pdf/f02_sai.pdf, accessed on 17th February 2019. This entry was posted in Railways Blog on January 9, 2019 by rogerfarnworth.